Dr. Rotimi Olaniyan is a senior lecturer in marketing and a practice oriented scholar, with teaching responsibilities in the areas of Strategic Marketing; Leadership and Employability; Marketing Metrics and Analytics; Marketing Innovation; as well as International Business, at both undergraduate, post graduate and executive education levels. He supervises PHD and DBA students with research interests in Brand and Marketing Management and Communications, Entrepreneurial Marketing and Innovation, as well as International Marketing strategy particularly within the emerging market context. 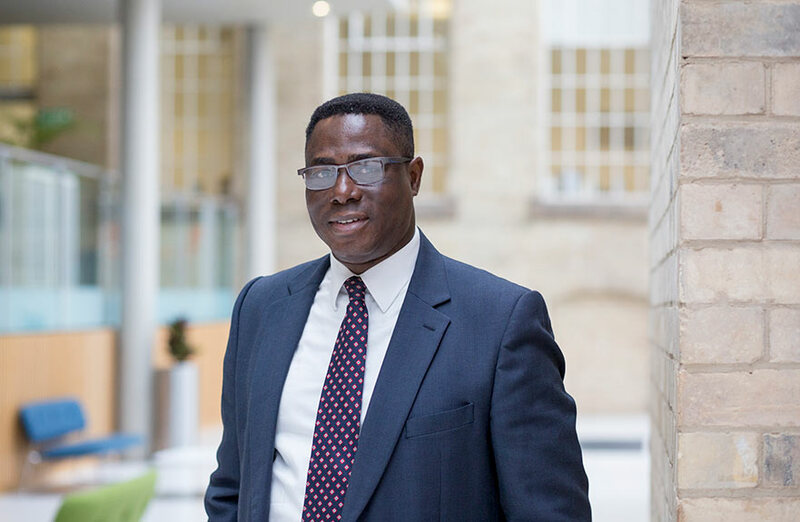 Rotimi has had a broad-spectrum marketing industry career across a few countries and cultures including the UK Spanning 30 years. His experience covers Integrated Marketing Communications, Brand and Strategic Marketing Management, Innovation, Sales and Trade Marketing, as well as Data Driven Marketing, CRM and Consumer Insights while working for multinationals like Cadbury's and Colgate Palmolive. He has operated as a business founder and Has served as Managing Director and country manager for brand and marketing communications consultancies such as the TBWA/TEQUILA international advertising agency network. He has partnered at C-suite level across several marketing campaigns to help build some of the world’s most important global consumer brands. He has sat on start-up boards including one of Africa's Fast scaling mobile money payment technology start-ups. He is a former Vice President of Nigeria's Chartered Marketing Institute as well as Past President of the Experiential Marketing Industry trade group in Nigeria and he currently serves as a visiting lecturer in marketing and communications to the Pan Atlantic University Lagos, where he also taught PG students for three years. Rotimi is also an NBS Alumni Fellow where he gained his DBA in 2015 with his thesis, which developed a model for better understanding the environmental munificence of entrepreneurship at the community level. Rotimi is currently developing his academic research interest around three broad areas. The first is Brand Marketing and customer engagement, with a particular curiosity around the issues of identity, image and the co-creation of Brand Expression across consumer communities and cultures. Second is the entrepreneurial context of marketing with scholarly adventures into how environmental contexts help frame the design and adoption of business models, propositions and venture journeys; and lastly is International marketing, particularly within the emerging market context, and how various logics and verticals intersect to create value for firms in search of success across these markets. Consumer culture shock and brand expressiveness; how ethnic cultures syncretise the identity of global brands. Rotimi is a visiting lecturer, in marketing communications to the School of media and communications of Pan Atlantic University Lagos Nigeria and he is also a reviewer for the international journal of Small Business and Entrepreneurship. Olaniyan, R., Tansley C, Neshamba, F., (2014) A new model for understanding community entrepreneurship: Institute for Small Business and Entrepreneurship (ISBE) 37th Annual Conference 2014, Manchester, 5- 6 November 2014, Manchester.